There is generally no perfect structure that covers all wish-list items for a given business structure proposal, so the goal is to achieve a structure of ‘best fit’ for your business. We are creating a series of infographics to illustrate the pros and cons of four common business structures: Sole Trader, Partnership, Company and Trust. 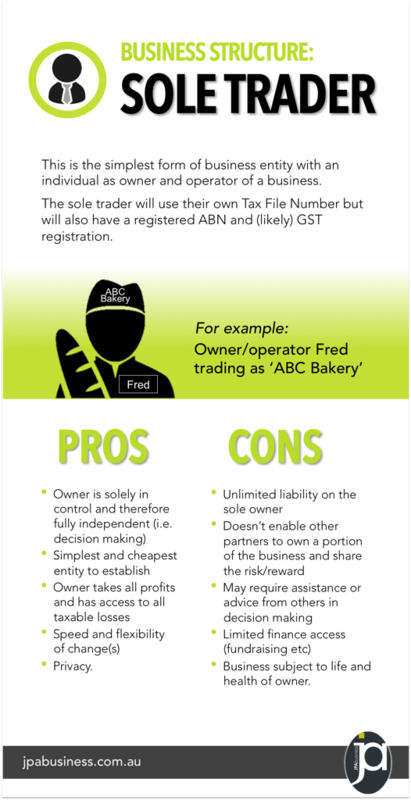 First up is the Sole Trader infographic – keep an eye out for the others, which will be published over the next three weeks. 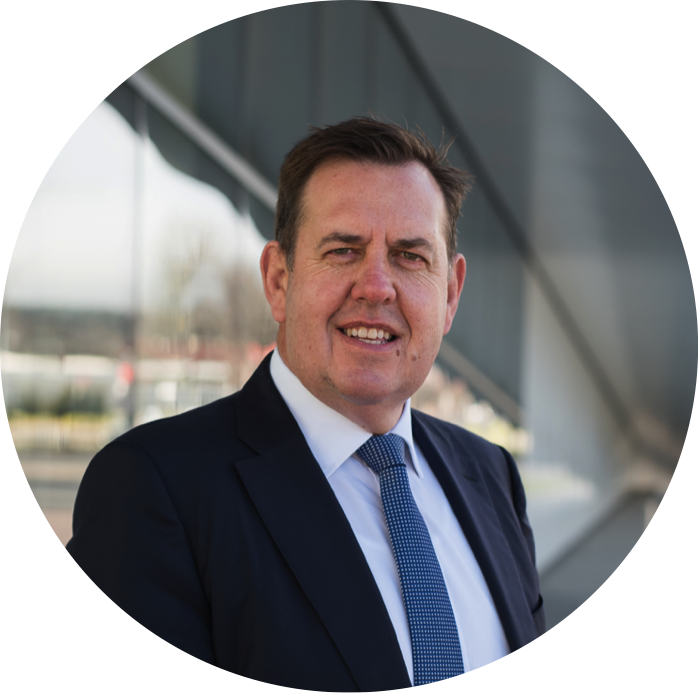 If you would like advice regarding how to structure your business entity, contact the experienced business advisory team at JPAbusiness for a confidential, obligation-free discussion.